I have been talking about How to decorate for fall without the traditional colors and today I am continuing on with that theme. Along with a lot of other exciting goodies, and a product shopping list! So where do I even start?! I shared my fall home tour on Monday and it was filled with DIY decor, easy to make crafts, nature inspired elements, and I even managed to make blue decor happen for fall! You can see my fall home tour here. 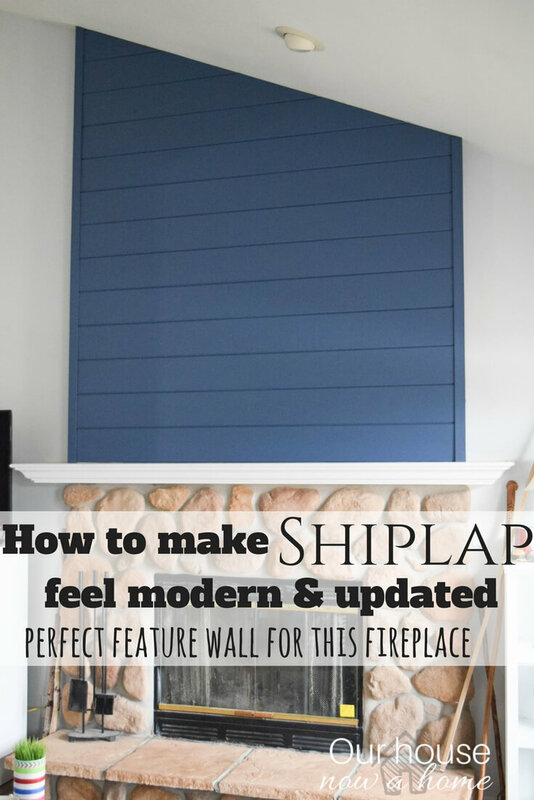 I explained a lot of how my home has had to transition away from the typical fall themed decor. Usually it is all about warm colors, mainly reds and oranges. But my home is a coastal, casual, gray and blue haven. So making the seasonal decor work has been a challenge, one I was eager to figure out. I made it work with adding yellow, keeping the gray and using that color for fall. Also adding in neutral fall elements like white pumpkins, because you cannot even call it fall without pumpkins… just a fact. Bringing in nature inspired pieces like leaves, sticks, bark, and other rustic textures really warms up the home. With fall it is all about the warmth, cozying up a space. 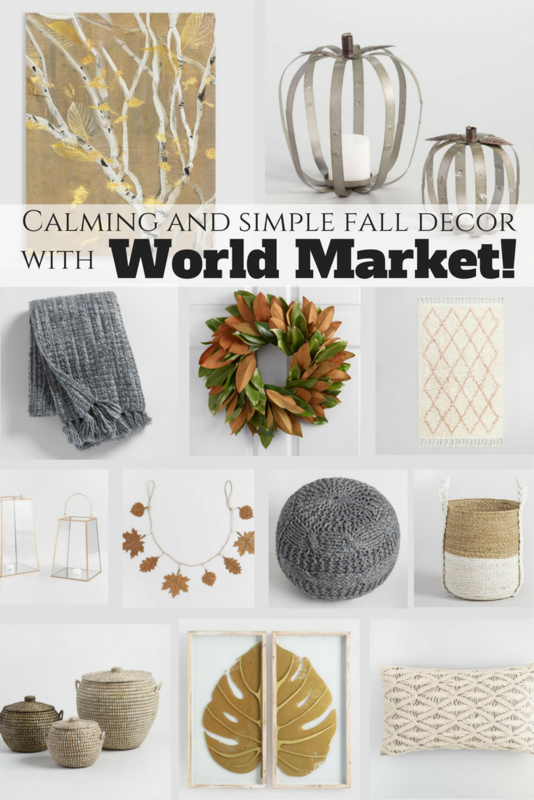 Today I am working with Cost Plus World Market in connection with Quikly to bring to you a ton of amazing fall decor items without the traditional colors. There is a few pops of orange and yellow, but a lot of gold, gray and warm textures. I handpicked all of these items, most of which I already have in my home. There will be a detailed product list, with helpful links to all of the items at the bottom of this post. 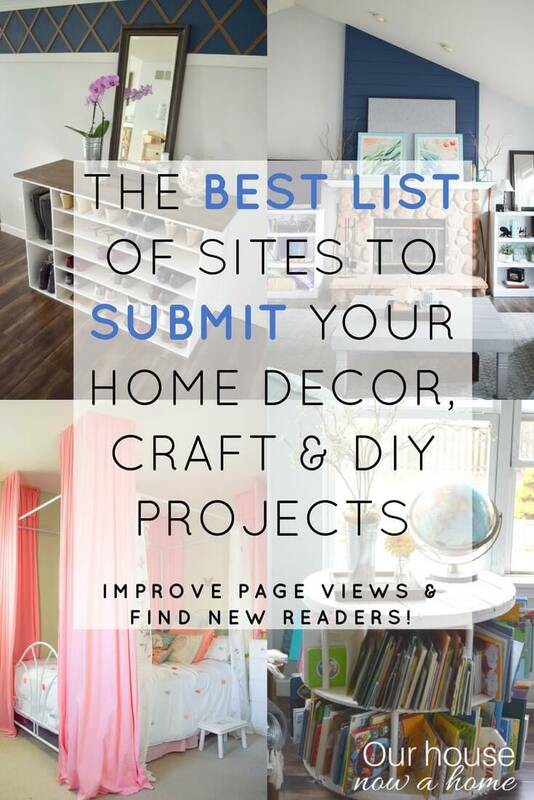 I do a lot of DIY here, so oftentimes when I am sharing my home with you guys I cannot share where to get the exact item since I made it. So little posts like this with product lists can help out a lot. 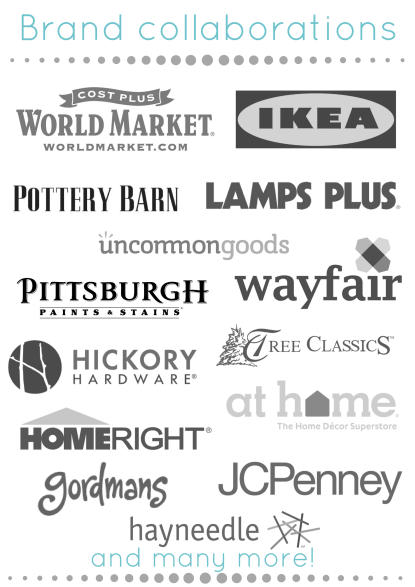 Since I am sharing Cost Plus World Market decor items with you at the bottom of this post, I figured I would make it easier for you to find a store near you, click here for a store locator. I plan to be doing some shopping at my local store here in Brookfield, Wisconsin to add just a little more coziness to my home and get ready for the extra people visiting my home during the upcoming holiday season. To me fall is all about warmth and coziness. It is sweater weather! The time to relax, slow down, cuddle up by the fireplace with a warm blanket. It is a time to not just add layers to my clothing style but also to my home. Layering in throw pillows, blankets, or a plush rug. Creating a cocoon perfectly fit for fall in your home. Since cooler temperatures outside means more indoor get-togethers I need to up my entertaining game. Even get a jumpstart on the Thanksgiving Dinnerware, since this amount of pretty can be used for the whole fall season! I also think that working with my aesthetic in home decorating can be done without staying exactly on target. 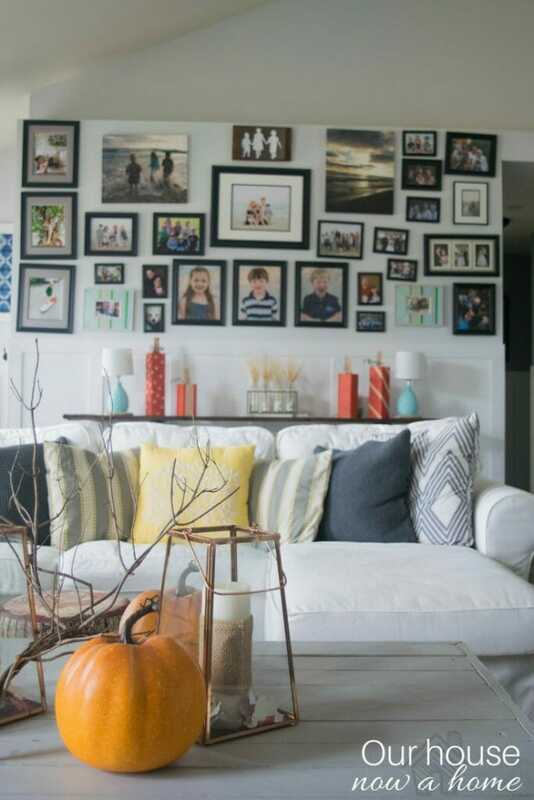 I love me some coastal and beach decor, but going along with that for the fall season does not feel authentic to the tone of the season. I can alter my coastal style, turn down the shells and bring out more nature inspired pieces, even the massively loved Farmhouse decor. I literally decorate with sticks found from my yard or adding leaves to decor. Bringing out other rustic wood pieces like plates, tables, a new ceiling light or a few other items can add that fall feel without the traditional big sunflowers and bright orange pumpkins. Doing these things allows my home to feel like our home, with it’s casual, bold, bright, and cool colors. So my home becomes part of the season and not put to the side for the sake of celebrating fall! How to decorate for fall without the traditional colors is really all about paying attention to textures, rustic wood pieces, warming up with grays, browns and even beige, and of course adding a few pumpkins for good measure! Now, I promised a few goodies for this post and I am just getting started. Part of this partnership with Cost Plus World Market and Quikly is bringing the best deals to you guys! I adore decorating my home, but doing so can get pricey. 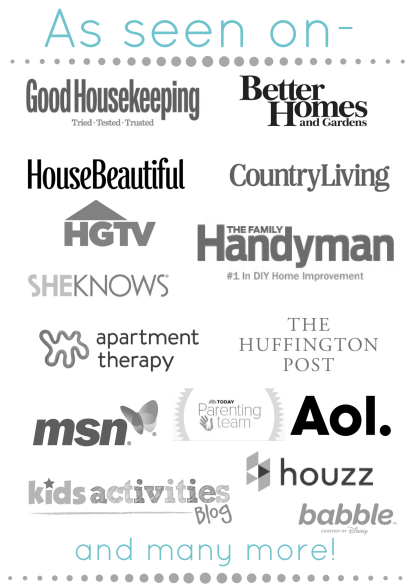 Cutting corners is a must, and the easiest way to do that is with discounts, sales, or other promotions that the brand offers. Well, this is a whole new way that World Market is going to deliver on this. 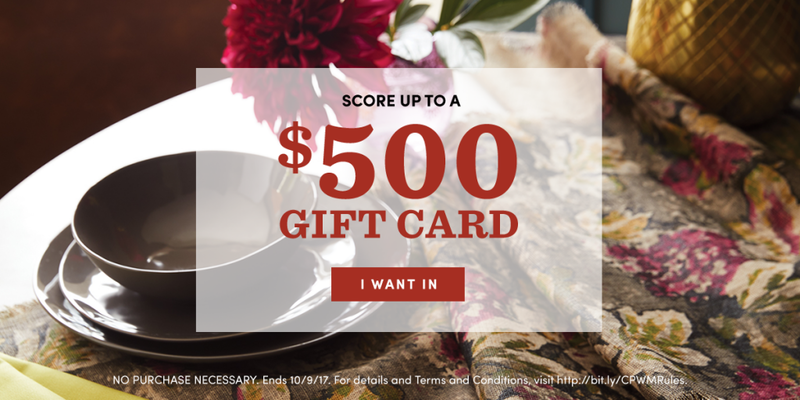 They are celebrating the season by giving away $4,500 worth of World Market gift cards. Say what?!! All of the gift card details are below! Cost Plus World Market is celebrating the season by giving away $4,500 worth of World Market gift cards! Sign up now here and share the campaign with friends and family. If they opt in, we’ll send you an early notification letting you know when the 67 gift cards and special offers will go up for grabs so you can be ready to act fast. This could be the perfect opportunity for a seasonal shopping spree! But not to worry – everyone will walk away with something! Sign up now before it’s too late. I warned you I was not just helping you figure out How to decorate for fall without the traditional colors but also sharing some goodies. I delivered! 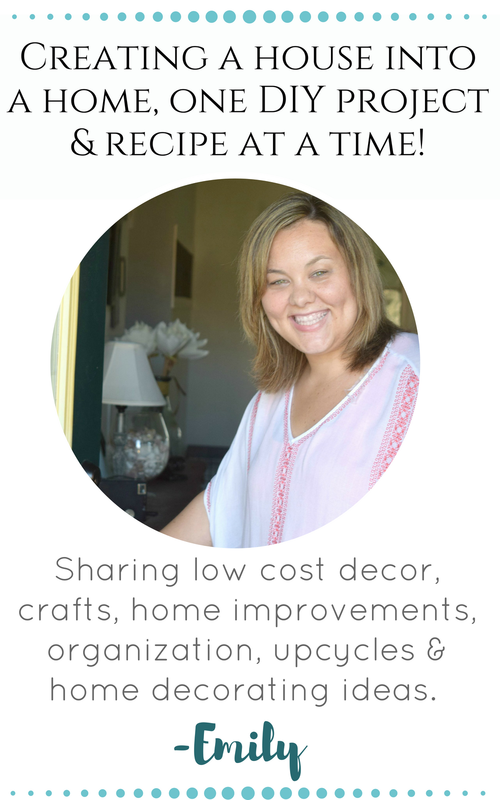 The fall decor items I shared feel fresh, calm, and go along with my cooler colors for fall, but still fit right in with the beautiful season. I picked these items in particular because they could easily blend in with most existing home decor. Fall does not need to be a time to set your decorating style aside. These decor items can be layered into the year-round decorations, just adding a touch of cozy, fall perfection. Don’t forget to sign up at Cost Plus World Market for the Live release, seriously…. a chance to win major gift cards and shop till you drop! World Market is one of my favorite places to go shopping. I have found so many great things for the house and as gifts in that store. I need to check out World Market. I really like all this decor. You have such a gorgeous table. I need to go to Cost Plus World Market. Your decor looks fantastic and I need to spruce up my house, I feel it’s in a rut. That store is a dangerous place for me to go. Whenever I go there I am always coming out with something new. I love the way you decorate your home. It is absolutely gorgeous. Luv, luv, luv Cost Plus World Market! I ALWAYS find something I MUST have there. Thanks for the Quikly $500 giveaway info. OMG, the things I could buy with $500 at Cost Plus. Seriously, it would be like Christmas for this shopping diva. I LOVE World Market!! It’s just starting to feel like fall here, so I’m getting in the mood to decorate! Love your pictures! I have to admit I’ve not heard of World Market before, it looks like somewhere I could spend way too much money though! Your home is lovely! I have no talent for decorating. I really like the rustic looking cart for the kitchen. I have a lot of antique furniture along with a big comfy sofa and swivel rockers, so my house is rather eclectic. I love World Market. You’ve made some really nice choices. Your home looks and feels so warm, and cozy. Makes me want to redo ours already. I LOVE World Market, and I think a trip is definitely in order… You have such a beautiful home by the way! World Market has great decor for every season. I have most of my holiday and fall decor from them. I am looking for a few new pieces to add to my fall decor. I really like these neutral colors. I will have to check it out and see what I can find. 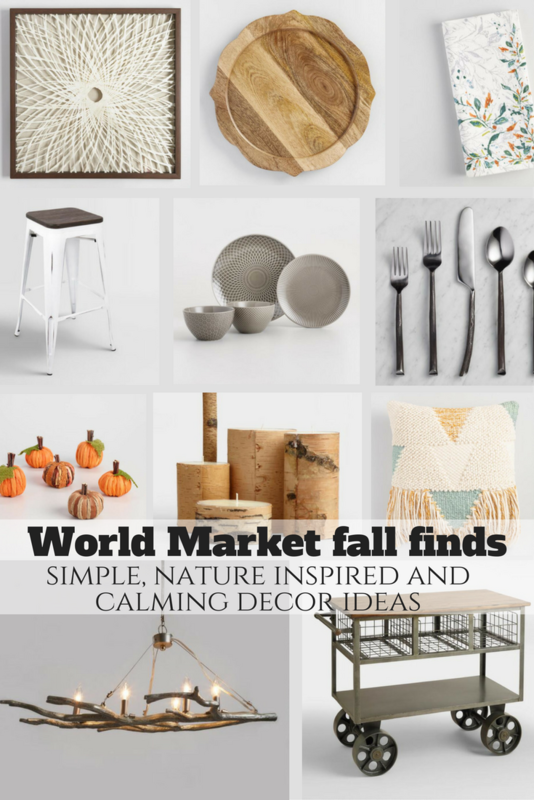 I love World Market but did not know that they had so many beautiful things for fall! Love these colors too! I love your use of neutral colors and that wreath is fab! All of this decor is so adorable. I really need to update mine for Fall! All of this decor is gorgeous! I’m so ready for fall decorating. I will definitely use some of these ideas. World Market always has such a great selection. 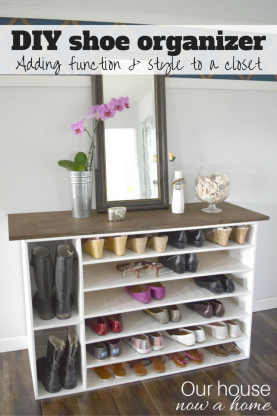 I love the neutral colors – they’re so pretty and sophisticated and they provide a great foundation for adding lots of color. These are beautiful ideas! I love how they are natural colors and tones. Now that my kids are getting older, I like having less crazy stuff around the house as far as decorations. I’ll have to check out their fall decorations as well as their other seasonal stuff. Cost Plus World Market certainly have great products and you just want to go back there to buy more. I am totally loving the Metal Pumpkin Lantern and Silver Branch 5 Light Chandelier. I’ve never been to a World Market, we don’t have one nearby. That beige and turquoise afghan looks lovely. I’m obsessed with world market. I just love that tablescape. My house is very neutral so many of your choices resonate with me. I especially like the cart. World Market is one of my favorite places to shop for seasonal decor. Great finds! I am such a sucker for World Market. I absolutely love all of their rustic and Fall decor. I know where I’m going shopping to finish off my Fall mantle!